After picking up a much needed win on the road the previous night in San Antonio, Orlando was looking to keep it up at the Amway Center Monday evening when they faced the struggling Cleveland Cavaliers. 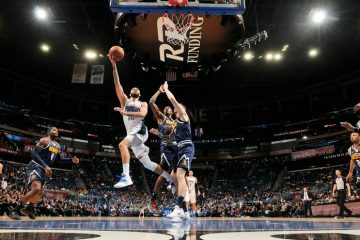 The Magic were hoping to pickup a consecutive win as they started a 3-game homestand on Monday and it ended seeing an unlikely hero at the buzzer: Evan Fournier. 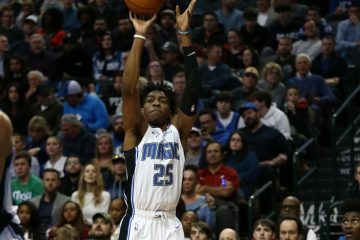 The shooting guard has had trouble knocking down jumpers as of late, but had no trouble hitting the game-winner as Orlando was able to get away with a 102-100 win over Cleveland. 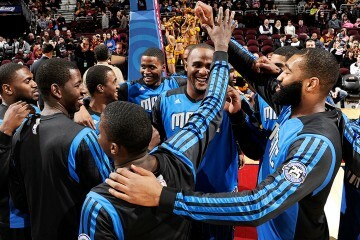 The Magic now improve to 4-6 on the season and will play again on Wednesday night when they face the Detroit Pistons. The starting shooting guard had been inconsistent hitting shots from the outside, so his return to form is a welcoming sight for Orlando at the right time. Evan Fournier ended the night with 15 points on 5-of-15 shooting from the field. 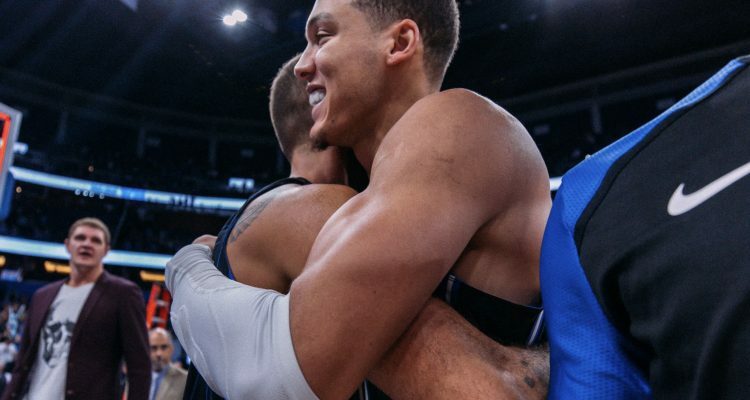 Mince again leading the way for Orlando was forward Aaron Gordon, who scored a team-high 23 points and grabbed nine rebounds. Terrance Ross came off the bench for the Magic to drop 15 points in the win. Orlando has to overcome solid performances from Cleveland’s George Hill (22 points) and Tristan Thompson (19 points, 16 rebounds). Cleveland (1-9) just named interim coach Larry Drew as the team’s permanent head coach for the remainder of the 2018-2019 season and has a team option on his deal to return for the 2019-2020 campaign. The Magic will end the homestand on Friday night when the Washington Wizards come into town.